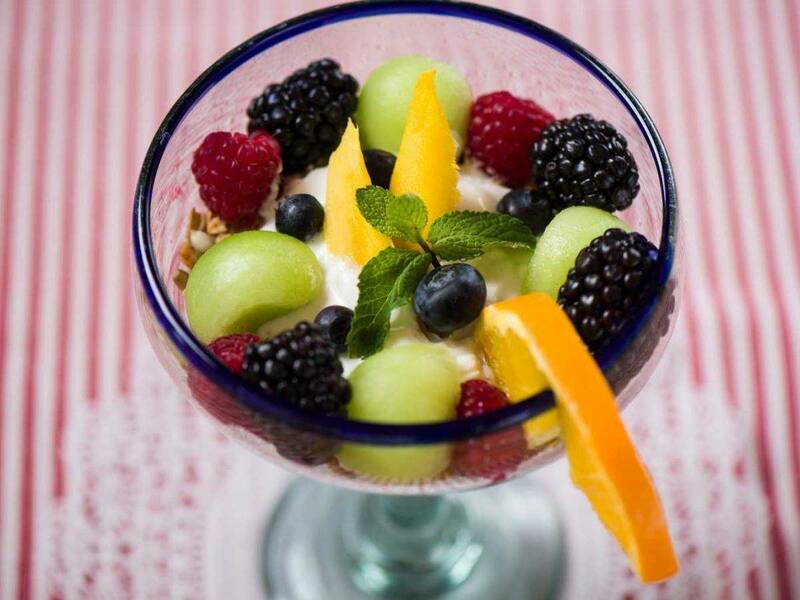 Our granola gets dressed up with the addition of fresh fruit and yogurt when served in a parfait glass. We love organic phytonutrient-rich berries and kiwis. Use other types of rolled grains for variety. Our granola breakfast bowl serves 4. Mix grains, nuts and seeds together in a bowl. Briefly warm the remaining liquids together in a saucepan and pour over the nut/ grain mixture. Coat well, then spread out on an oiled baking sheet. Bake for 45 minutes until lightly toasted. Stir every 15 minutes to toast evenly. Cool before storing in airtight container. To serve, layer the granola in a glass or bowl with yogurt and fresh fruit.